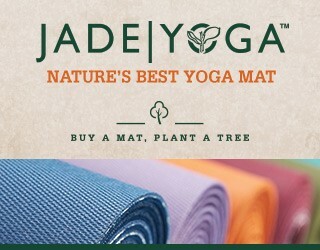 OK, OK, I really didn’t want to bring politics into More to Love Yoga, but I know this momentous campaign has many of us experiencing higher levels of stress. I believe that yoga and life in 2016 can complement each other and that what happens on your yoga mat is really just a short practice for what you can do off your mat – where the real living happens. I’m sharing with you my stress-busting personal breathing practice that I do daily … and sometimes multiple times a day! It works for me and I hope it works for you. Read through the activity first, then take just a minute – set your timer – to do it, OK? Here we go! Step 2: Breathe, notice, repeat! 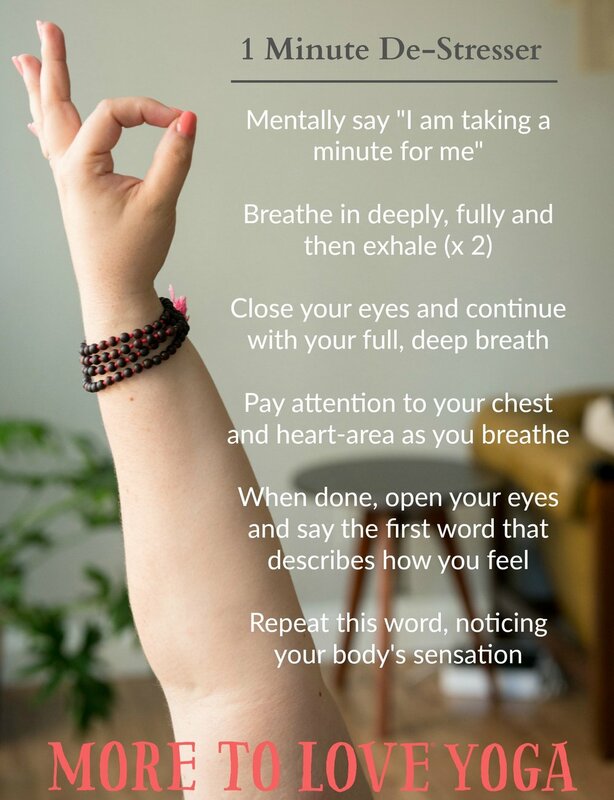 Take a deep breath in – as much air as you can fill and then slowly exhale it out – repeat twice more in this deep way, until you get a rhythm. Step 3: When you’re done, slowly open your eyes and think of a word that comes to mind to express how you now feel – just one word. Say this word again to yourself, feel it in your body. Why is this type of activity important? Whether you’re anxious over the election or about something else in your life, when you take a minute to breathe and focus on your body, your stress level decreases. It’s like an automatic switch that helps to lower mental and physical agitation, and that helps you focus more on what’s important. The next More to Love Yoga Essentials workshop, Your Sensational Body, is on Saturday, November 12 and explores how best to listen to what’s really going inside, allowing you to feel more in command of yourself, not just reacting to whatever is happening. I’ll teach you simple techniques to dip below the “chatter” and through yoga, help you tune-in to what your body is asking for so that you can respond with compassion and care. Limited spots are available and you can register for this workshop – or the rest of the series – right here.